Oh sweet leggings. You were amazing in the eighties, and you’ve come back to make the twenty-first century more stylish and way more comfortable. It seems everyone is wearing leggings today, and the styles are so diverse. I can guarantee there will be some under every Christmas tree this holiday season, so before you buy, check out Smarty Girl Smarty Pants! They really are, but not all girls like flowers, butterflies, and hearts. Which is how Smarty Girl began. Sofie’s mama couldn’t find toddler leggings with the things that her daughter loved, so she set out to make it happen. Smarty Girl is okay with heart and such, but let’s face it, not all girls all. They also love pink, but again, not all girls do. Sofie’s mama wants little girls to know that they can like whatever they want. It’s okay to don dinosaurs, or roam around with airplanes on your pants. Girls can like things deemed “boyish” by society. They can become scientists, or engineers, or any other career they choose. Which is the message behind Smarty Girls Smarty Pants. Growing up my sister dreamed of becoming a paleontologist. She had more toy dinosaurs than most boys her age. She even had stuffed Godzilla and Godzooky toys. Even then, my parents encouraged us to be whatever our hearts desired. (My parents were pretty forward thinking.) They even let me dream of becoming a clown that trained cows to jump through hoops! (Yeah, I was a weird little girl!) So I especially love the thought behind Smarty Girl. 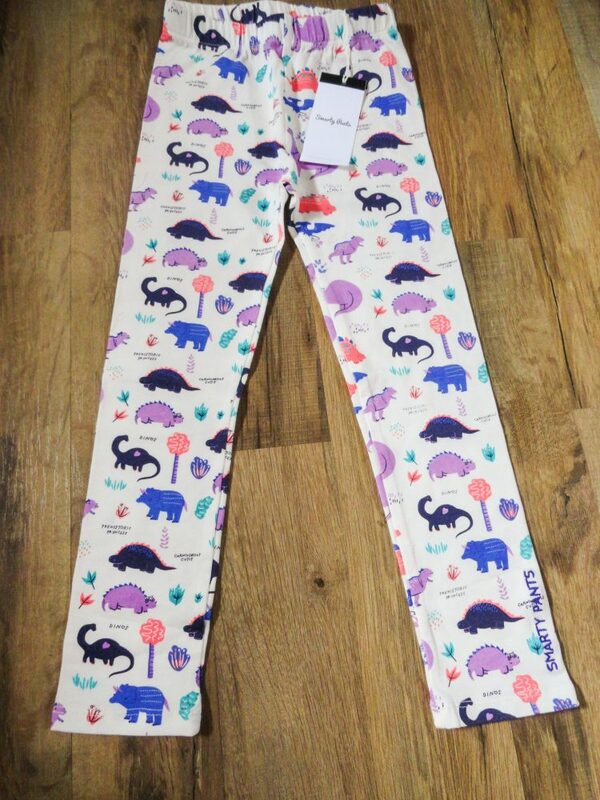 Smarty Girl’s Smarty Pants Dinosaur leggings are precious. 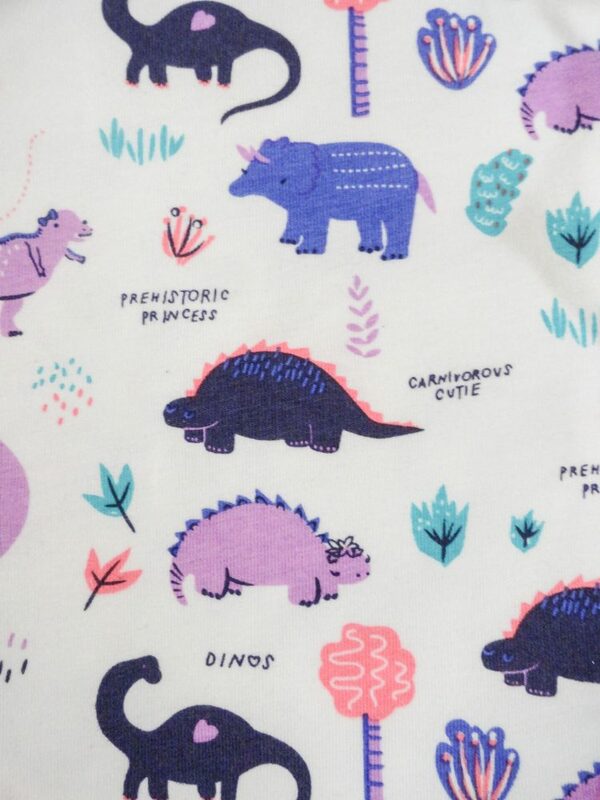 They feature purple, lavender, and coral dinos. 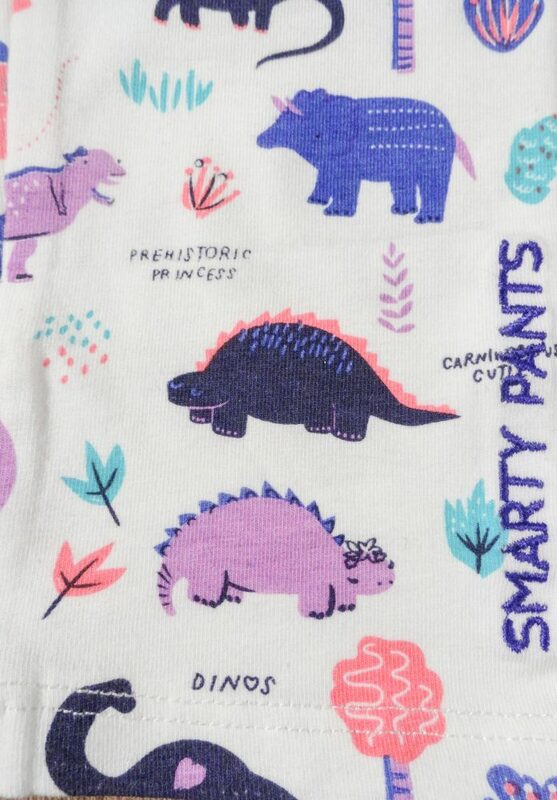 With sayings like “Prehistoric Princess,” and Carnivorous Cutie,” your little dino lover is sure to love them. Each pair is hand printed, so small print flaws may occur, but that just makes them more unique. They’re also crafted by hand with 95% GOTS certified organic cotton. You’ll know they’re Smarty Pants because the logo is stitched in purple in the lower leg. They come in sizes from twelve months to five T. Grab some to give as a holiday gift and get them now, before they’re extinct! See more HERE. Follow via Facebook and Instagram too.